You're probably familiar with the expression, "Do it right the first time." When it comes to road repairs, this phrase is never more true. With the expenses of crews, supplies, and closing down traffic, you can't afford to have to do the same job twice, and this is where EZ Street cold mix asphalt can help. EZ Street cold asphalt provides a permanent solution for your repair job, leaving you with the confidence of knowing you've done the job right the first time. With traditional repair solutions, temporary cold mix asphalt patches are put into place with the knowledge that it is only a matter of time until the repair deteriorates and requires a new fill. 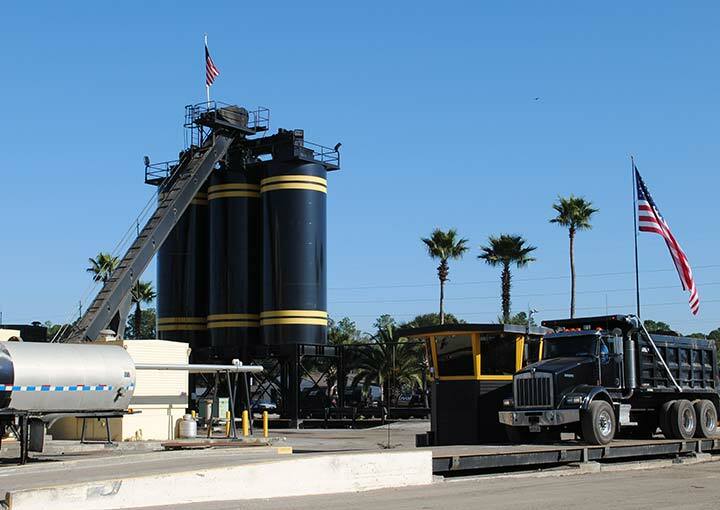 When hot mix asphalt is brought in to provide a permanent repair, a combination of limitations and expenses continues to make the repair process more and more inefficient. Factor in the waste of excess materials, and the practicality of such a repair solution soon disappears. EZ Street cold mix asphalt revolutionizes the pothole repair process by combining the ease of cold mix asphalt and the permanence of hot mix asphalt. When EZ Street cold asphalt is used the first time, in any condition, it is guaranteed to be both permanent and instantly ready for traffic. A patching solution that works the first time means a dramatic reduction in cost, and in turn, a dramatic increase in efficiency. Less machinery, less labor, and less disruption to traffic makes EZ Street cold asphalt the ideal solution to any pothole repair. This means getting more done with less, so that the money and time that would normally be spent on revisiting the same sites over and over again can instead be used for new repairs. 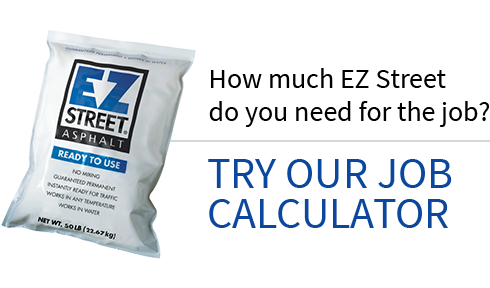 It only makes sense to do the job right the first time, and since EZ Street cold mix brings you the best of both hot mix and cold mix repairs, there's no reason to ever have to repair a pothole twice again. In April of 1998, approximately 70 tons of EZ Street cold asphalt replaced an existing, failing, conventional (temporary) cold patch in a utility cut 100 ft x 36 ft. This patch was immediately reopened to traffic after installation. It has remained open and the EZ Street cold asphalt is still PERMANENT after 17 years!